The distinguished Indian opener, Gautam Gambhir has perception that India should have secured victory two overs before the scheduled closure of their innings. India won the nerve breaking encounter at Adelaide Oval by four wickets on the fourth ball of the 50th over which was, in fact, their first ever victory against Australia in the One Day Internationals at that particular venue. Gautam Gambhir laid a solid foundation while opening the innings for the Blue shirts and added four valuable partnerships. He secured one end with determination as three wickets fell at the other end but not before he contributed 52 runs for the opening wicket with Virender Sehwag, 38 runs for the second wicket with Virat Kohli and a healthy partnership of 76 runs with Rohit Sharma. The left hand batsman was the fourth batsman to go back to the pavilion at the total of 178 for his individual well-earned 92 runs off 111 balls with seven fours. He became the highest scorer from either side and was rightly selected ‘Player of the match’. If I was there, I wouldn’t have looked to take it till the last over. I would have looked to finish one or two overs before. There is far more pressure even if you need 5-6 runs from the final over. But then we are different human beings, and we think differently. 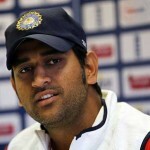 Indian Captain, MS Dhoni held the innings together after the fourth wicket of Gambhir fell at 178 runs. He added match winning 61 runs for the fifth wicket with Suresh Raina who lost his wicket for 38 runs. 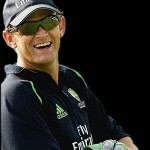 It was all left to him to get required 31 runs in 3.5 overs while inspiring the batsmen at the other end as well. Ravindra Jadeja was the sixth batsman who was caught at deep mid-wicket by Ricky Ponting off Xavier Doherty for 12 runs. The blue shirts required 13 runs to clinch the match with six balls left in the match and Gambhir believed, the Captain might have been expecting someone else to go for the slog so late in the match. It was good luck for the visitors that Dhoni himself dispatched six on the third ball of the last over which changed the complexion of the game. India was lucky that the bowler Clint McKay delivered no ball after that and the target was achieved on the fourth legal delivery. Gambhir was delighted at the favourable result of the match which could have gone either way but still believed it came too late for them in the tight situation.